Five Wisconsin Badger football standouts have made the latest round of college football preseason watch lists. Linebacker Jack Cichy, lineman Conor Sheehy and cornerback D’Cota Dixon were among 103 players who made the watch list for the Bronko Nagurski Trophy, presented to the national defensive player of the year. Offensive center Michael Deiter and tackle Beau Benzschawel are among the 81 players on the Outland Trophy watch list. That honor goes to the best interior lineman in the country on offense or defense. Dating back to the Outland trophy’s inception in 1946, students from current Big Ten schools have earned the award 26 times, most recently in 2014 when Iowa’s Brandon Scherff was recognized. Students from current Big Ten schools have received the Nagurski Trophy five times since the award’s debut in 1993. The latest Big Ten winner was Nebraska’s Ndamukong Suh in 2009. Linebacker T.J. Watt (Photo by David Stluka). Wisconsin Badger redshirt junior T.J. Watt was named first team All-Big Ten linebacker by both the coaches and the media on Tuesday. Watt finished the regular season third in the Big Ten in sacks with 9 1/2. 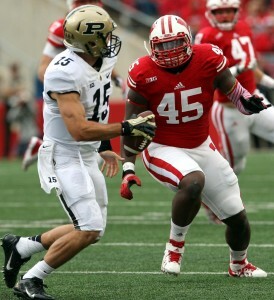 He tied for seventh in tackles for loss with 13 and leads the Badgers in both categories. 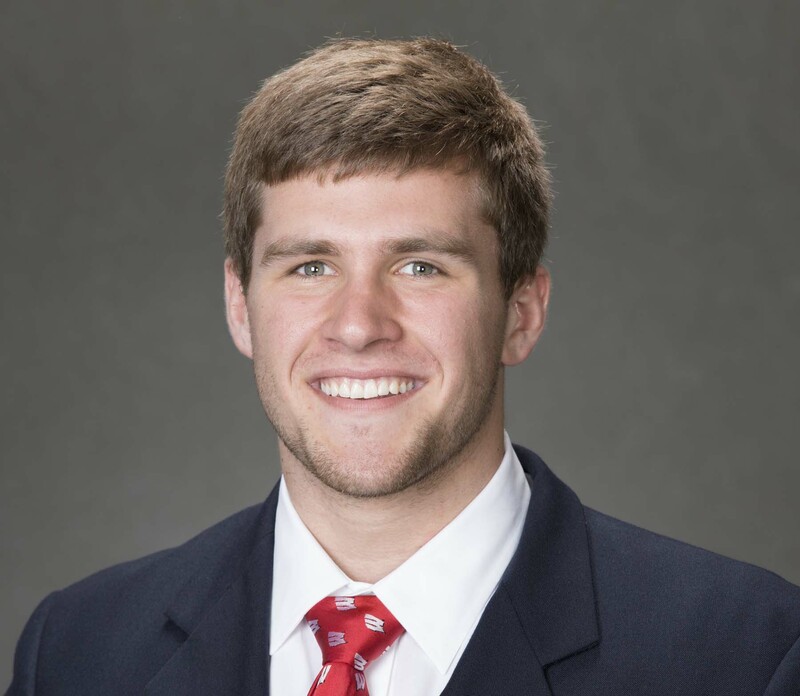 Watt was one of six Wisconsin defensive players honored. Senior cornerback Sojourn Shelton was a first team pick by the media and second team by the coaches. Linebacker Vince Biegel (senior-Wisconsin Rapids), was named to the second team by the coaches and third team by the media. Senior safety Leo Musso (media), junior safety D’Cota Dixon (media) and junior defensive end Conor Sheehy (coaches) were also named third team All-Big Ten. The six defenders join head coach Paul Chryst who was voted by his peers as the Big Ten Coach of the Year. The Wisconsin Badgers are looking for somebody to take a little bit of the workload off of starting nose guard Warren Herring. As the Badgers complete their first week of training camp, head coach Gary Andersen isn’t having much luck. Redshirt sophomore Arthur Goldberg, freshman Jeremy Patterson and freshman Conor Sheehy have not been able to show enough consistency to put the coaches at ease. It’s a big enough concern that Andersen may have to ask ends Conrad Zagzebski or Jake Keefer to move inside for a few snaps. Last year the Badgers had Beau Allen as their starter at nose guard and Herring was the backup, which proved to be a luxury. 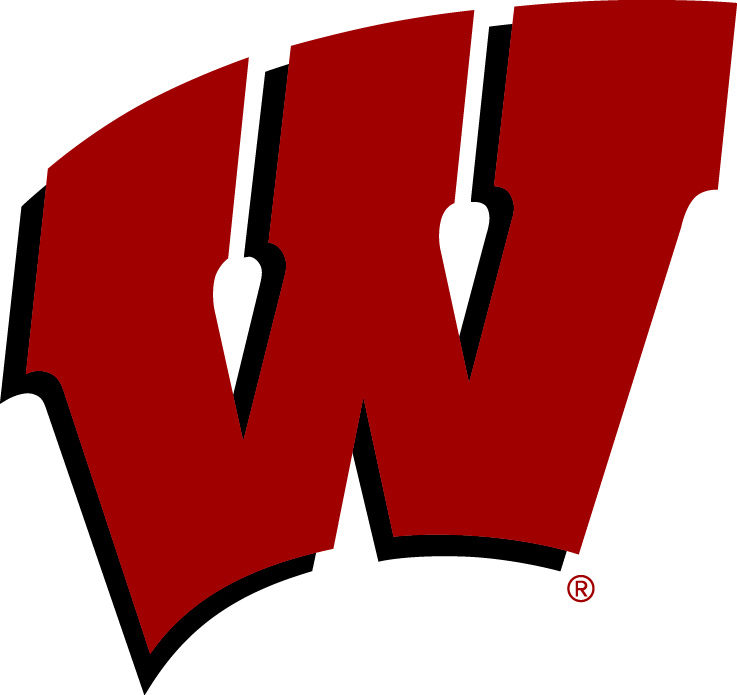 The Badgers will hold a scrimmage on Sunday morning (11am) at Camp Randall Stadium. Admission, as well as parking is free. Gary Andersen is hoping to get his young players in front of a big crowd, giving them some early experience in that area, in anticipation of the season opener against LSU on Aug. 30 in Houston.